Basseterre, St. Kitts (CUOPM) — Caribbean medical students at the University of Medicine and Health Sciences (UMHS) on St. Kitts took time from their busy schedules to raise funds for the major hospital in St. Kitts. The Joseph N. France General Hospital Fund was started at UMHS so that students could help give back to the community and the Joseph N. France General Hospital in St. Kitts (the fund’s namesake). The JNF Hospital plays a major role in UMHS students’ pre-clinical training and growth as future physicians. The two founding international medical school students of the organization are Kristina Catania and Monica Cerone. They established this foundation a little over a year ago with only the greatest expectation. The honour of being the president was then passed down to Mahfishan Khan and then to Student Government Association president Christopher Garcia. Mr. Garcia has held the position for two semesters and began his fundraising by selling UMHS clothing to students, faculty, and family. Over the two semesters, Mr. Garcia has raised close to $3,000. Several faculty members have also played an integral role in helping the cause. Dr. Michael Doherty has held numerous events centered on medicine and how it can be applied to all walks of life, namely in the arts and in the theater. UMHS professors Dr. Steven Garmon, Dr. Mohan Kumar, and Dr. Nagy Milik played a role in helping the medical students to identify and focus their efforts on specific hospital needs. UMHS student Victoria Chokuba, known as the “Doctor Designer,” helped organize a fashion show, featuring the extraordinary talents of fellow UMHS students Loretta Akpala, Hunza Ahmad, John G., Madhav Patel, Viktorija Petrovic, and Mariam David. The event included Caribbean medical students from UMHS as well as models from the community, wearing outfits from local vendors, and raised a considerable amount of money for the hospital and other community causes. To date, the foundation has raised and purchased over $6,000 dollars in equipment and supplies for the hospital, including an electrocardiogram and a keypad-locked refrigerator to keep medicine cold and secure. The JNF Hospital Fund has grown out of its infancy and has taken root in the heart of the students at UMHS. Students behind the J.N.F. Hospital Fund attend UMHS, a new St. Kitts-based medical school owned by Caribbean medical school pioneer Warren Ross. Since the 1970’s, Caribbean medical schools have been the most popular alternative for American and Canadian students unable to gain admission to competitive domestic schools. Unlike many of the corporate backed for-profit institutions, UMHS was built on the principle of providing a true alternative medical education that could compare in quality to any US school. Each year, thousands of applicants are denied from a US or Canadian medical school. Despite their motivation, compassion and courage, a less than perfect GPA or MCAT score can curtail a student’s dreams. Many of these students are told by their premed advisors to give up or seek other career paths. The unfortunate truth is that a large portion of educators refuse to acknowledge the value of foreign medical schools. With the doctor shortage in the US expected to increase to 150,000 by 2025, something must be done to prevent a future health crisis. Schools like UMHS that take a more holistic approach to admissions, yet still offer a true quality education are one such solution. Thanks to the students’ persistence to realize their dreams, and the availability of alternative education paths, the Joseph N. France General Hospital in St. Kitts acquired modern medical equipment that it previously did not have. The University of Medicine and Health Sciences (UMHS) is a Caribbean medical school, founded in 2007, offering a Doctor of Medicine degree program. 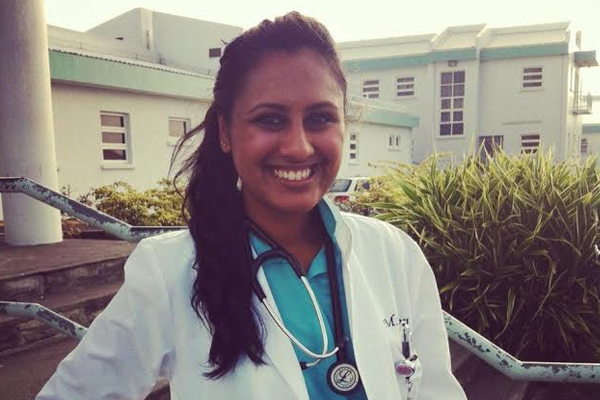 Students begin their basic science studies in St. Kitts, West Indies, and complete their clinical training in teaching hospitals throughout the United States. UMHS prides itself on its state-of-the-art campus, small class sizes, high student retention, and excellent USMLE passing rates. For more information about UMHS, visitors should check out the University’s website or Caribbean medical school blog.